The US dollar is lower across the board in Asia ahead of the Lunar New Year with only sterling and the Australian dollar falling against the greenback. After a dismal January, the US dollar got a boost from the unexpected big numbers posted in the U.S. non-farm payrolls (NFP) report published Friday. The gain of 304,000 jobs almost doubled expectations and sent the dollar higher after a dovish FOMC statement put downward pressure on the currency earlier in the week. There is rising optimism on the trade talks between the US and China, although no details have been nailed down. The upside is limited as President Trump also mentioned that if the talks are not successful a new round of tariffs is imminent. Mixed data has put downward pressure on the euro. The single currency is losing momentum after a dovish ECB meeting in January. The softness of the dollar has kept the EUR/USD in a tight range, but economic indicators need to improve in the Eurozone for the currency to gain a major foothold against the greenback. Italy failed to grow for two consecutive quarters and entered a technical recession. The government is betting that the controversial budget will boost growth, but time for its stimulus is needed. French and Spanish growth beat expectations offsetting the negative number out of Italy, but the German economy is showing signs of slowing down which could spark a new round of stimulus from the central bank rather than continuing on a path of rate normalization. Sterling is trading above the 1.30 against the USD, but as uncertainty about what kind of deal the UK will get after the divorce with the EU it is below the 0.90 price level against the EUR. Prime Minister May has to go back to Brussels and renegotiate a deal, she was told many times was not negotiable. May’s defeats at parliament mean that while on paper a no-deal exit is a long shot, the reality is that the EU can only give the UK time to realize the deal on the table is the final one. The Bank of England (BoE) will host another Super Thursday. The central bank has been one of the strongest voices of reason during the Brexit negotiations, but it has been accused by some members of parliament of fear mongering. Governor Carney will have to manage expectations on his views on the damage a no-deal exit could mean for the UK while at the same time highlighting the effects of a global slowdown. The central bank is not expected to make any changes to its monetary policy on Thursday, but it could lift its inflation expectations despite all the Brexit turbulence. The Canadian dollar is higher as a double boost from higher oil prices and a soft dollar due to a dovish FOMC statement. 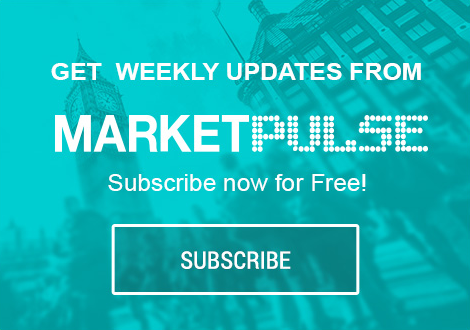 Canadian economic data has been mixed, but the Bank of Canada (BoC) is not expected to tweak monetary policy as significantly as the Fed, appreciating the loonie ahead of the week when Canadian employment data will be published on Friday. Job creation has beaten expectations in the past two months but there are headwinds building up that could signal a slowdown on the employment front. The US dollar was stronger in 2018 and as trade concerns rose as tariffs against Chinese goods escalated it started to hit the bottom line of American companies. While there were good signs of the meeting between US and China last week, nothing concrete has been announced leaving the market vulnerable to anti-trade statements. Alphabet will try to avoid the privacy related scandals to distract from its earnings that will be posted Monday after the market closes. The tech sector is reeling after reports of misuse of the Apple App Store by big names such as Google and Facebook. Facebook managed to turn the tide as it beat estimates, but it seems the only way to convince investors that the crisis is not a big deal is to deliver big results. Disney is up on Tuesday with a lot of optimism riding on their streaming offering. The company has been buying big IP and after slowing down its blockbuster production it will focus more on smaller screens with Star Wars and Marvel series to be their strongest play against more tech savvy competitors Netflix and Amazon. The house the Mouse built is betting on proven franchises to steer consumers to its online offering with 2019 a big year for Disney. Gold prices broke above $1,320 last week as the U.S. Federal Reserve was clear in saying its monetary policy will remain unchanged until more data proves the case for further tightening. This is a departure from last year’s statements and comments from Fed members were a gradual but steady rate hike path was believed to be the way. A soft dollar as its losses the support of the Fed and safe haven demand as the US-China talks appear to be on the right track has boosted the yellow metal. Uncertainty as risk events are still on the radar (Brexit, Venezuela, US politics) are keeping gold bid as investors and central banks shift their exposures. A solid NFP report on Friday meant gold backtracked against the dollar despite the Fed sapping any traction on Wednesday but employment has been a strong pillar, despite the lack of inflation. Oil prices are higher on Monday as protests in Venezuela are on the rise as high-profile defections keep shifting the balance of power away from President Maduro. The US is backing the opposition leader and could send troops as pressure increases for Maduro to step down. Strong US economic indicators and lower oil supply after the US sanctioned Venezuelan exports were a positive for crude. The OPEC cut agreement is also limiting supply offsetting the rise of US production but still vulnerable to lower global growth forecasts. The positive news out of Washington on US-China trade relations could send crude high, but only if there is a major breakthrough announced soon.